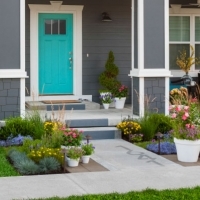 Sharon Parenteau | Curb Appeal: Make a Great First Impression! So, you want to sell your house. Sure, you’ve been cleaning, fixing and staging your house to impress buyers, but here’s a reality check: by the time they walk through your door, it might already be too late. Remember the law of first impressions: you never get a second chance to make one. Maximizing your home’s curb appeal is a critical step to instantly grabbing the buyers’ attention. Clean the soot, moss and general grime. There’s no way to prevent mother nature (and Toronto pollution) from your house, but if you don’t deal with it the house will start to look as if it was never cared for. Any sign of exterior neglect will make buyers wonder what else has been neglected on the inside, so don’t cut corners! Buy or rent a pressure washer and start hosing. Siding, decks and paths will all benefit from a good blast of H20 to leave the place shining and looking like new. If the paint is starting to crack or peel, either touch it up or repaint the entire surface. Consider the colour scheme. Take a walk around the neighbourhood and find the most attractive houses. How are they painted? If your home is a neutral tone think about using bold colours on gutters, pipes and trim to add an interesting contrast. For brick or stone, paint the trim and woodwork in strong glossy colours. An attractive and well cared for front door can make a great impression. Installing a new door is always a nice touch; but if that’s out of your budget a coat of paint and new hardware on your old door will do. If you have a traditional door with brass fittings, strip it right down, give it a new coat of paint, then polish up and reinstall the brass work. Don’t forget the house number; if potential buyers are already irritated because they had trouble finding the place, your chances of a sale go way down. Consider the view from the street. A high hedge may give the house some privacy, but buyers aren’t going to get a good first impression if they can’t see the exterior of your home. Cut back trees and shrubs so the house can be seen from the curb. Clean your yard! Cut the grass, clear away leaves, and tend to the weeding. Unless you’re listing your house in the dead of winter, you should be able to plant some seasonal plants and flowers. Make your yard a place that people can envision spending time in – clean your patio furniture and take the cover off your BBQ. Once you’ve finished, clear away the gardening tools and stow them out of sight, along with any bikes and toys. And I hope it goes without saying, that you need to scoop the poop. If it’s late in the year and days are short, consider some lighting to jazz up the exterior. Solar LED lamps are great for marking paths or highlighting flowerbeds. Attractive lighting around the front door gives a welcoming glow. Think about interior lights too; it’s visible from outside, so work out what combination of lighted windows makes your house most attractive and welcoming to potential purchasers. 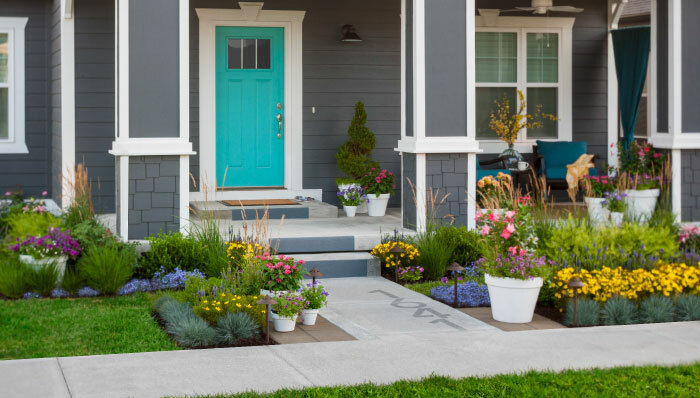 Don’t underestimate the power of curb appeal. If you need a second opinion give me a call for a no-obligation Curb Side Consultation!